Say Hello to the love of my life... Well, the scented version anyway. 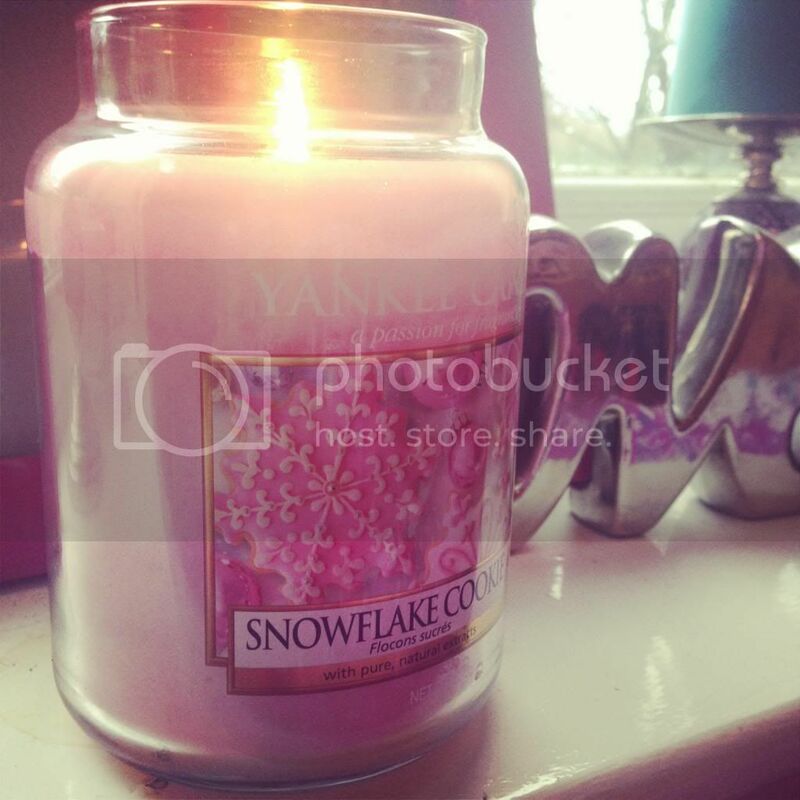 Yankee Candle's Snowflake Cookie has been constantly alight in my bedroom since Christmas Day and it's sweet christmassy scent has been filling my house to the point where I could convince my neighbours that I'm the next Delia Smith. The scent is, as the name suggests, a very sweet and sugary cookie smell, like home baking but better. I think it is incredibly similar to Christmas Cookie and Vanilla Cupcake, minus the Vanilla Scent. If like my mum, you can stand sweet scents you'll hate this, but I LOVE it. I tend to stick to burning sweet or warming scents, I'm not a great fan of fresh or citrus. The delicate pink colour is adorable and the fact that it burns for over 100 hours is fantastic, should just about last me until the end of the month ... Joking? You can definitely tell the difference in quality and scent payoff with Yankee Candle, I am a huge candle burner but no other candle fills my whole house with a scent quite like theses, they really are incredible value for money. What's your favourite candle brand? What kind of scents do you favour?